Not competitive as to the most other ships. No coffee. 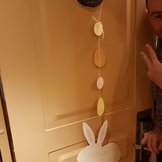 This was my first cruise, so I have only my experience and the reports of others to go off from. The staff was friendly, though most assumed we spoke Spanish, and we needed to gently correct them often. Thankfully our waiter and room-keeper figured it out quickly, and spoke English to us when they interacted with us. They were kind, really all the staff seemed kind, even when struggling with English. The food in the shared meal times was mediocre. Certainly edible most of the time, but nothing made me say "wow" or "Yum!" or "that was delicious!". There wasn't much variety day-to-day, and several dishes called by different names were actually the same as other dishes, especially the soups. Perhaps the exclusive additional-fee dinners were better, but we couldn't afford to buy them. We couldn't put our finger on why we didn't care for the food, but we think it might be that the food just didn't seem prepared fresh with fresh ingredients. Yes, it's true, you can't bring alcohol or some foods on board. We were allowed to bring water and crackers and fruit, but the alcohol they "confiscate" and give back to you at the end of the trip. If you manage to get wine past the x-ray machines, as we met one guest who did, the staff won't have corkscrews to open it. Lunch leftovers were apparently forbidden, they made us leave the ship to throw it away. Yes, at every stop we had to pass ourselves and our baggage through one, often two x-ray machines every time we got on board, (this is where they confiscate the alcohol and record who it belongs to). Though at the end of our trip in Athens they didn't seem to care much, just waved everyone through. The entertainment left much to be desired. Nothing sounded interesting or good, or in some other language. The one time we did see entertainment, it was very weak, but at least we stuck through it to say we saw one. Not surprisingly most everything was expensive, or an added price. One surprise we didn't like was the mandatory 10 euro per person per night tip automatically added every day to our account. We didn't know that was coming, and that really soured our experience. We only found out by accident, and it turned our gratitude into bitterness. There's no heart in a mandatory fee, and since we weren't aware of it, it felt like a sucker punch. We're on our honeymoon on a tight budget, and they secretly add this expensive fee? That sucked. We found out a few days in by accident, but at the end of the trip during a disembarkation meeting in English, the Staff member told us that it had been added to our accounts (only when someone asked about gratuities of course), and based upon the looks of the other English speaking guests, they didn't know it was coming either. Bad form Costa. Maybe it's common, I don't know, but it wasn't a fun way to find out. The bed was okay, not too hard or soft nor scratchy, but as a honeymooning couple, we didn't like the fact that the twin or queen-sized bed was made up of two single mattresses. Left an uncomfortable seam right down the middle of the bed. We needed to tell the front desk when we needed sheets changed, otherwise they don't change them. Lest I be totally negative and neglect the good that was truly there, there were good things we liked. The ship and facilities were always clean and well kept. The staff was kind. The places we visited were good. The Daily update on places, weather, sea weather, excursions were helpful. The international breakfast option was nice to have. The lounge areas looked good for those who wanted to use it, and the pianist/cover artist was pretty good. The front desk staff thankfully spoke good enough English to help us when we had questions. They were accommodating of my wife's gluten-free needs, though the bread wasn't nearly as good of course. Overall the cruise was good. Food was excellent. Itinerary was good. However there was a lack of entertainment in English. The safety drill was conducted in several languages but English. I would definitely recommend the cruise to all, food excellent, service good and value for money excellent. The only thing I would caution new clients is the English speaking clients are few, therefore not always geared to the expectations of some people. It did affect the availability of some shore excursions for English speaking clients. Overall a good cruise! We loved smaller size of the ship - easy to get around and to get to know the crew. The ship was clean and updated. After taking American cruises, it was refreshing not to have the pushy "upselling" of all the extra products and services. The spa was beautiful, reasonably priced and not crowded. We made use of the drink package for 30 euros per day - they made money on us, but it was nice not to worry about it. The crew was so friendly - loved our room steward, waiter and bartenders. Even though we ended up not being crazy about our stops in Greece, it was no reflection on the ship. Our only complaints were cold showers, lack of variety for breakfast foods, and it was hard to catch any announcements in English - the ship mostly had cruisers from Spain, so most of the information was given in Spanish. But they provided an English speaking hospitality host and we were always able to find him for questions. Overall, we loved the cruise and would go on a Costa again. 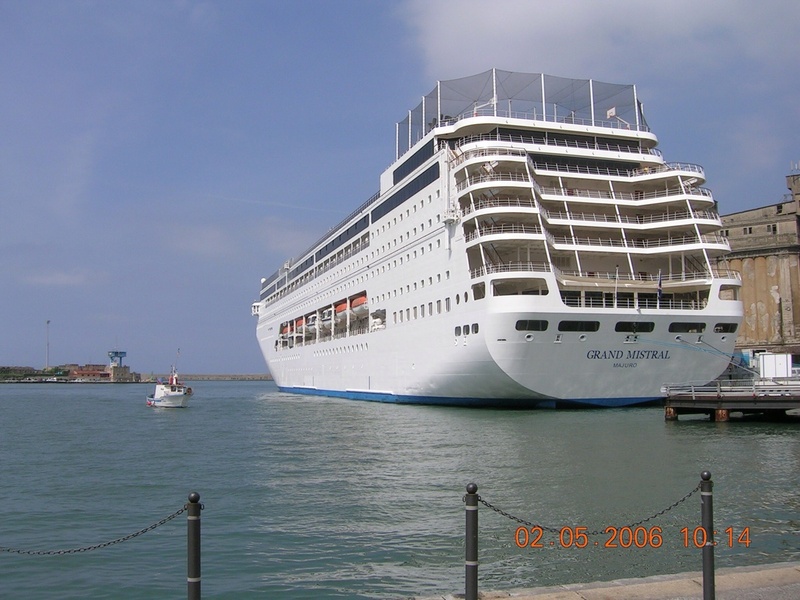 Its been our 6 cruises i different cruiseline and first time in Costa. Every company has diff charactheristic strenght and downside to improve. All cities and islands most esp Santorini and Dubrovnic are fantastic. Nothing to compare any places that we visited in 6 continents. Overall it was a very pleasant cruise. The onboard activities were good, the only negative is they closed the hot tub early. They keep up with the timeline and most of the shore excursions had ample time to sight see. I think more island info could have been available and offer more excursions. On two islands we visited the excursion were not available. (FYI I also feel the excursions were overpriced). Room service was good, except for the laundry service took 4 days to get back.. The food, as on most cruises was good. Nice Cruise overall. The cruise destinations were good. We were able to see a lot in 7 days. The service especially at the various bars was disappointing. For the most part we felt as if the waiters were trying to ignore our presence rather than seek our order. Language was somewhat of a problem. We speak only English and wait staff was generally very English limited. The room was great we had an ocean view with plenty of space and storage. The sailing was smooth and the port calls very timely. The value for the money was good. Fabulous itinerary, great service. Wonderful food! The staff was very accommodating and delightful. The ports were all wonderful and none were crowded. We've been on many cruises and this was a unique itinerary with lots of fabulous ports. Different than your typical Mediterranean cruise that visits Rome, Venice, etc. Those are great ports as well, but much more crowded in the summer than the ports on this cruise. It was a GREAT value. This was my first cruise with Costa and I have to say I loved it.. this was my 30th Birthday cruise suprise I have always wanted to go to Dubai and this cruise enabled me to so exactly that. One adjustment was the fact that dinning was restricted to time limits as far as I seen there was no room service available. Breakfast was served from one time to another.. then dinner was served at one point.. there was no overlap or places were you could snack on if you missed one meal time (if you were on an excursion for example). The food however was exceptional.. everything was fresh and indulgent, the pasta dishes were truly amazing, the breads were freahly made 😍 this cruise line is a foodie's cruise dream come true I enjoyed the shows they were different but still entertaining, I love the mix of different nationalities.. I found the cruise director not as present on board mixing with the passengers not as much as the entertainment team.. the entertainment team were terrific.. themed parties were just lovely We opted for the cocktail drink package I had the pleasure of enjoying the menu and I have to say the bartenders and waitstaff and crew work extremely hard and are a joy to interact with; most crew speak multiple languages. We chose to spend our Christmas on a Costa cruise from Abu Dhabi to Oman.Loved Oman.Hated every second of the on-board experience and as a result, disembarked early. There is a 'Hospitality' desk in the main foyer.The clue should be in the title.NO ONE ON THIS SHIP KNOWS THE MEANING OF THE WORD:"HOSPITALITY". Food was meagre and mediocre.Bar staff were as miserable as sin.Waiting staff were even worse.RUDE! I complained on board to one of the managers ( Dutch)...fobbed me off.NEVER AGAIN. Well done Costa .Youve succeeded in alienating two new customers and the ten other friends who I've now shared my experience with. 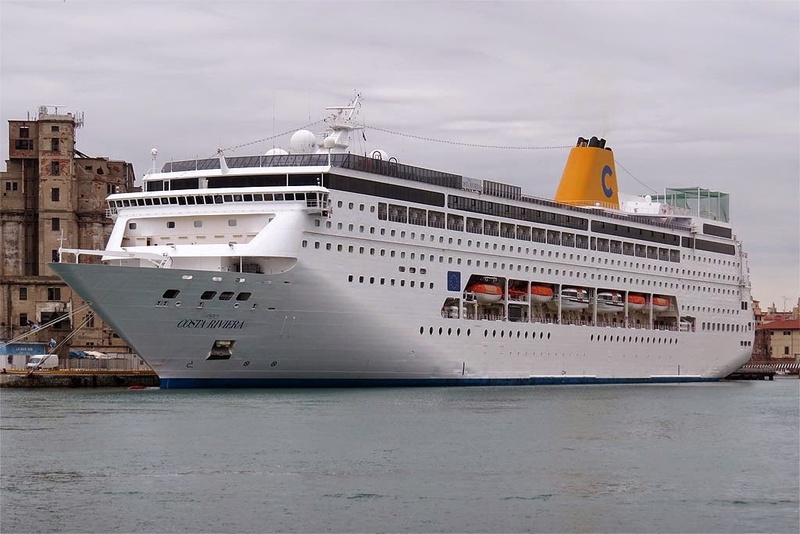 If you choose to follow Costa neoRiviera you will receive weekly email updates with the latest reviews, tips, and photos from Cruiseline.com members about Costa neoRiviera.